HEY GUYS.....M BACK WITH A REVIEW OF A BODY WASH I JUST FINISHED USING AND HAVE BEEN LOVING IT SINCE THE PAST MONTH. I RECEIVED THIS BODY WASH IN MY OCTOBER ENVY BOX AND WAS VERY EXCITED TO USE IT. I LOVE USING DIFFERENT BODY WASHES AND PARTICULARLY ONES WHICH ARE NATURAL AND ORGANIC. IT COSTS RS 438 FOR 100ML AND RS 875 FOR 200ML. NOW COMING TO MY EXPERIENCE WITH THIS PRODUCT, I ABSOLUTELY LOVED USING THIS BODY WASH. 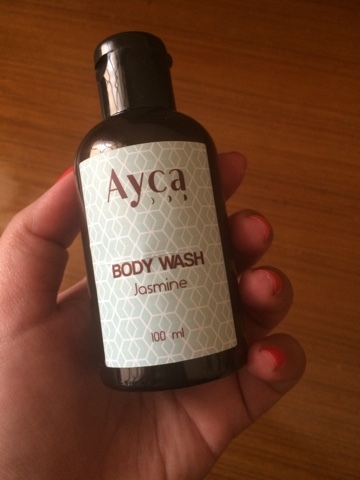 THE SOFT AND REFRESHING JASMINE FRAGRANCE, THE NATURAL INGREDIENTS AND THE MOISTURIZING FEEL ALL ADD UP TO MAKING IT ONE OF MY FAVOURITE BODY WASHES. 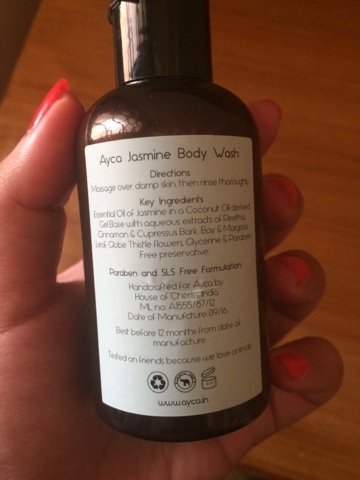 THIS PRODUCT IS PARABEN FREE AND CRUELTY FREE WHICH IS A BIG YAYYYYYY!!! IT CONTAINS ESSENTIAL OIL OF JASMINE IN A COCONUT OIL DERIVED GEL BASE AND HAS EXTRACTS OF SOME AMAZING INGREDIENTS LIKE REETHA, CINNAMON ETC. THE PRODUCT HAS BEEN MADE WITH A SLS FREE FORMULATION WHICH IS AGIN A GREAT POINT. THE PRODUCT LATHERS WELL AND THE YOUR BODY FEELS FRESH, CLEAN AND SOFT AFTER USING IT. THE ONLY CON I FOUND WAS THAT IT IS A LITTLE PRICIER THAN OTHER BODY WASHES AVAILABLE ,BUT AT THE SAME TIME I FEEL THAT ITS ORGANIC INGREDIENTS JUSTIFY THE EXTRA COST. OVERALL, I LOVED USING THIS PRODUCT AND WILL HIGHLY RECOMMEND IT TO YOU IF YOU ARE SEARCHING FOR A MILD , NATURAL, ORGANIC AND PARABEN FREE BODY WASH.
Nice review. I too using this body wash and loving it. I love the fact that it is organic and SLS free as well.